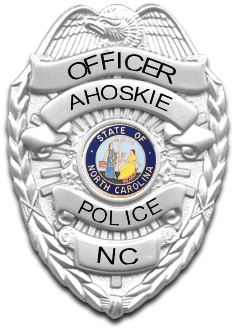 The Ahoskie Police Department’s Community Relations Detail is responsible for the creation and administration of crime prevention programs that are offered to the public. Officers offer services such as fingerprinting children, speaking with community organizations, speaking at area schools about “stranger danger” and drug awareness, plus many more interesting topics. Officers from the detail are available to make public presentations for organizations and community groups throughout the town on a variety of topics. To arrange for a Crime Prevention Officer to speak to your group, contact the Ahoskie Police Department at (252) 332-5011. Please make your request at least two weeks in advance of the time you would like the presentation. Visit the below link for lessons in safety and crime prevention.